My last post was only yesterday, when I released celMaker 2 for Visio 2007 and Excel 2007, but I have already had some feedback from my fellow Visio MVP, John Goldsmith. He found a couple of “bugs” and suggested an improvement, so they have all been implemented. The installation from the web site should be straight forward … if you press the launch link, rather than the install button. 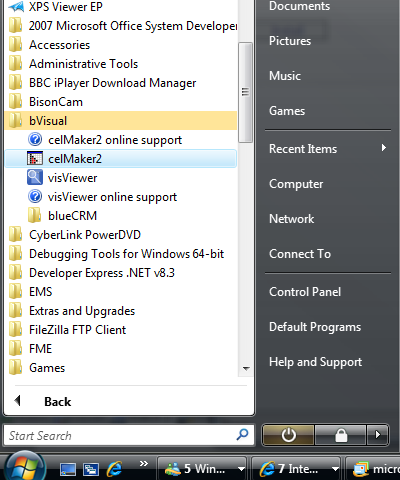 The installation adds celMaker2 to your programs under bVisual. You can uninstall using Control Panel. 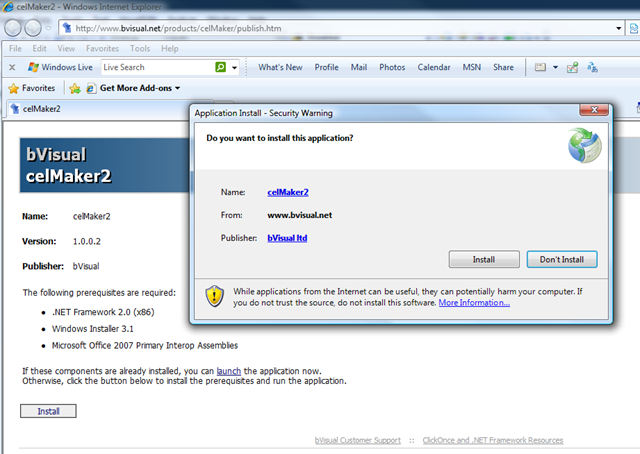 Note that celMaker2 will automatically check for any updates whenever it is started. John suggested that it would be nice to automatically format the data as a table in Excel. So, this option does just that, which means that the headers stay visible, even when scrolled. Please feel free to email me, davidp at bvisual.net with any comments .. they are disabled in this blog because I was getting a lot of Chinese spam. Hi David. I am using Visio 2007 and Excel 2013. I can copy from Visio to Excel but going from Excel to Visio will only remove existing cells. It does not add in anything new or existing from Excel. Any ideas or help? How are you doing this? Are you using the Database Add-on? When I used to use it in the past, I think that I always ensured that the Excel range included one extra blank row. I’m not quite sure I understand what you are asking. 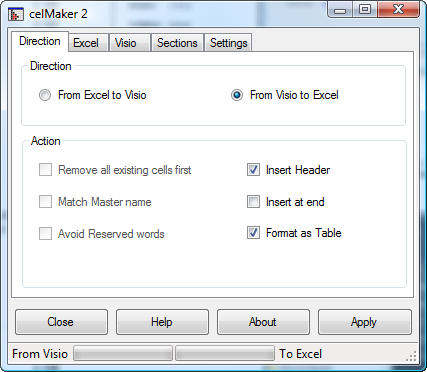 I copy from Visio shape into Excel. I insert an Action within the action area. 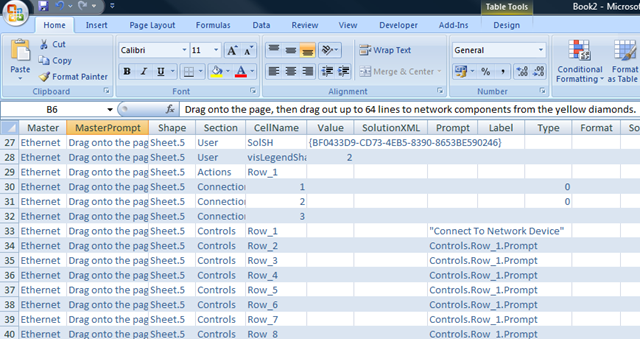 I modify the row for appropriate action then I copy back into the Visio shape. Am I missing the Add On you mention? Is that on Visio side or Excel side? I added a blank row at the end of the Actions in Excel and same results.